What is Botox (Botulinum Toxin) Made of? Botox (BTX) is a prescription medication that is administered via intramuscular injection. Through its active ingredient, onabotulinumtoxinA (botulinum toxin A), it temporarily blocks the release of acetylcholine. This neurotransmitter controls the communication of impulses between the muscles and the nerves, allowing for muscular movement. By preventing the discharge of this chemical, Botox halts movement and relaxes the muscles. What is BTX used for? Additionally, it may be used for the cosmetic treatment of glabellar lines and crow’s feet in adults. Botox’s active constituent, botulinum toxin type A, is sourced from Clostridium botulinum bacteria. Overexposure to this substance is known to cause botulism, a potentially fatal illness that causes muscle paralysis. However, when injected in minor dosages—such as those in Botox—it exhibits therapeutic effects, relaxing the muscles and preventing spasms. In BTX injections, Clostridium botulinum has been purified to remove complexing proteins. These proteins are known to trigger the formation of antibodies, which can reduce the effectiveness of medical treatments. Through purification, Botox’s overall effectiveness is increased, strengthening the potency of its therapeutic nature. Generally, the effects of BTX last 3 months or longer, depending on the area and the ailment to be treated. 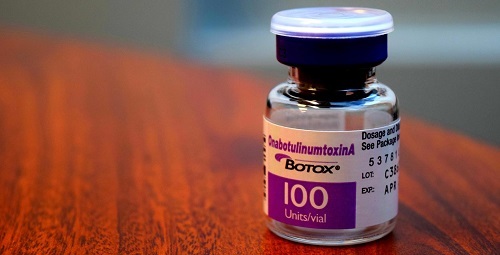 It is important to note that while Botox is well received by most patients, certain individuals should not be injected with botulinum toxin type A. Most notably, this includes individuals with allergies to this substance. Additionally, pregnant and breastfeeding individuals and those with neuromuscular disorders or muscular weakness should exercise caution when using BTX. Common side effects of exposure to botulinum toxin type A include injection site reactions (including pain, swelling, infection, and bleeding), headaches, and eye disorders.